Jerry Seinfeld is an American comedian who was born in Brooklyn, New York, New York on April 29, 1954. Comedians in Cars Getting Coffee and Maya & Marty account for some of Jerry Seinfeld's recent TV appearances. 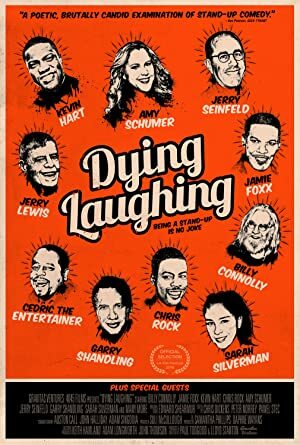 Dying Laughing (2017) and If You're Not in the Obit, Eat Breakfast (2017) are some movies in Jerry Seinfeld's recent filmography. On Spotify, Jerry Seinfeld keeps a low profile with only around 21,000 followers and a popularity score of 24 out of 100 as of 2018. His most popular track on Spotify is "First Time Funny" from the album Jerry Seinfeld on Comedy. Jerry Seinfeld's Instagram account (@jerryseinfeld) has a huge following with around 979,000 followers. His recent posts to Instagram have gotten around 53,000 likes each. As of 2018, Jerry Seinfeld has contributed to about 22 TV shows. 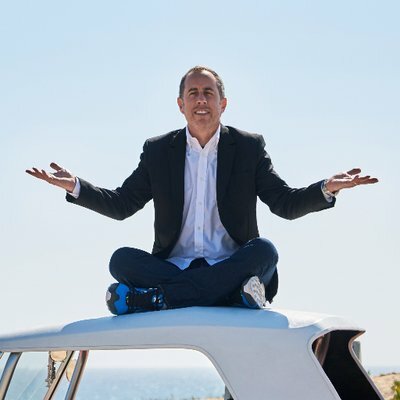 Some of the most recent Jerry Seinfeld TV appearances include Comedians in Cars Getting Coffee, The Late Show With Stephen Colbert, and The Tonight Show Starring Jimmy Fallon. 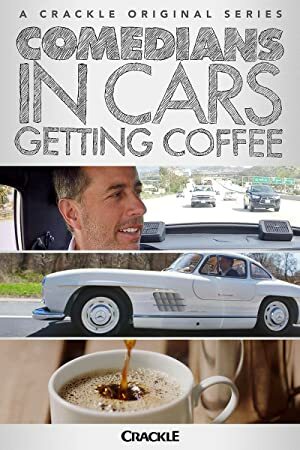 Jerry Seinfeld played the role of Jerry Seinfeld on Comedians in Cars Getting Coffee in 2017. 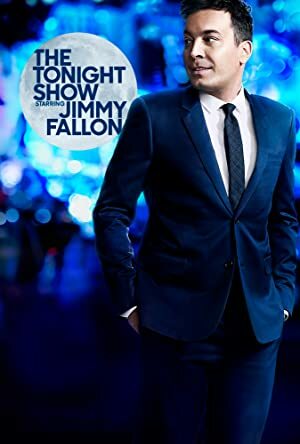 He was a guest on The Late Show With Stephen Colbert in 2016 and again in 2016 he was a guest on The Tonight Show Starring Jimmy Fallon. There are about 12 movies featuring Jerry Seinfeld as of 2018. Some of the most recent Jerry Seinfeld movies include Dying Laughing, If You're Not in the Obit, Eat Breakfast, and Colin Quinn: The New York Story. Dying Laughing was released in 2017. If You're Not in the Obit, Eat Breakfast was also released in 2017. 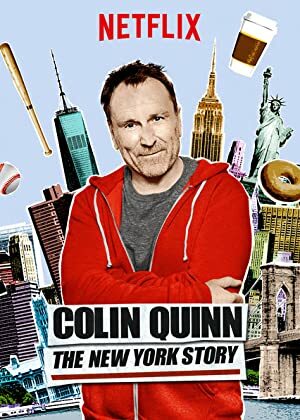 Colin Quinn: The New York Story was released in 2016. As of 2018, Jerry Seinfeld has 21,000 followers and a popularity score of 24 on Spotify. Jerry Seinfeld on Comedy is a popular album by Jerry Seinfeld. 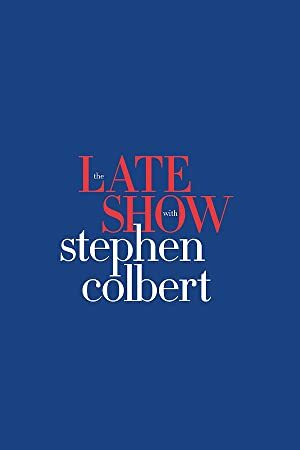 Notable tracks from this album include First Time Funny, Education, and Robert Klein's Influence. First Time Funny is Jerry Seinfeld's most popular track, scoring 23 out of 100 on the popularity scale. Education and Robert Klein's Influence have popularity scores of 19 and 17, respectively. The Spotify popularity score is on a scale from 0 to 100 and reflects the number of times the song has been played and how recently it has been played. Comedians in Cars Getting Coffee: New episodes, Freshly Brewed. Now streaming on @netflix. Jerry Seinfeld Instagram: My first time in the 991.2 GT3 RS I am very surprised that I am very surprised at the progress from Gen 1 RS. GT2 is more of an overwhelm of power, of course, but I think for the Pure 911 Obsessed, me, this is the better drive. Most precise Porsche experience ever. Thanks to my friends @TheCollectionFL for letting me try it and @Porsche for still making our dreams come true. jerryseinfeld My first time in the 991.2 GT3 RS I am very surprised that I am very surprised at the progress from Gen 1 RS. GT2 is more of an overwhelm of power, of course, but I think for the Pure 911 Obsessed, me, this is the better drive. Most precise Porsche experience ever. Thanks to my friends @TheCollectionFL for letting me try it and @Porsche for still making our dreams come true. Jerry Seinfeld Instagram: I met @gadelmaleh 12 years ago, and I instantly recognized him as a true comedian. Go see him, he’s brilliant. jerryseinfeld I met @gadelmaleh 12 years ago, and I instantly recognized him as a true comedian. Go see him, he’s brilliant.